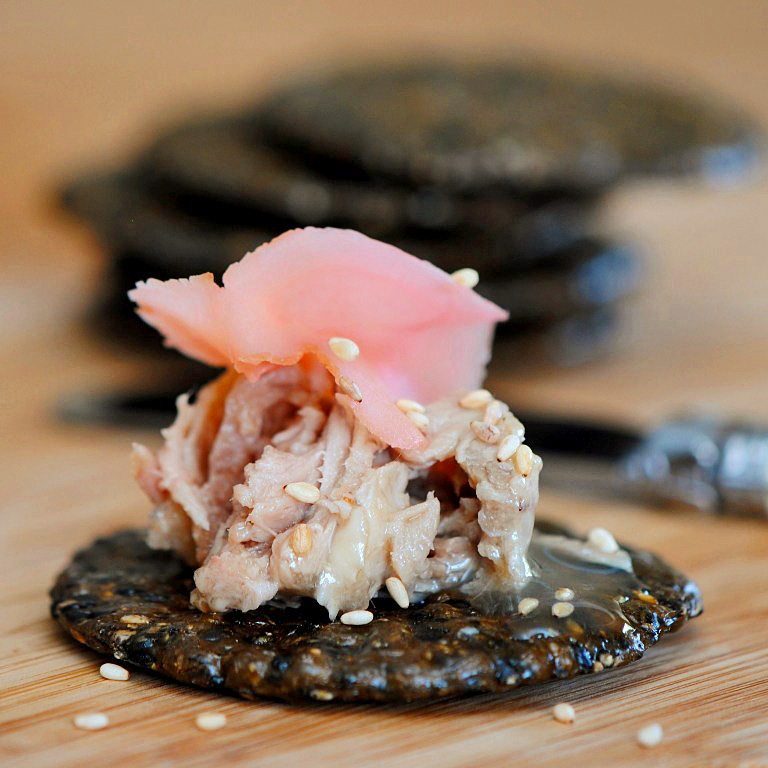 the Asian flavors along with Chinese roasted duck really make this rillette different and put a little twist on a charcuterie favorite. 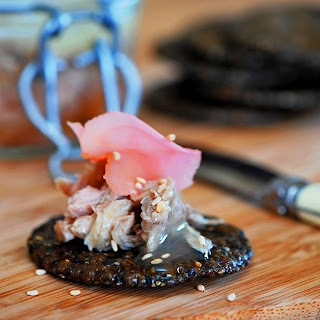 i think i've found an easy way to accomplish a great tasting fancy treat without alot of time and effort. 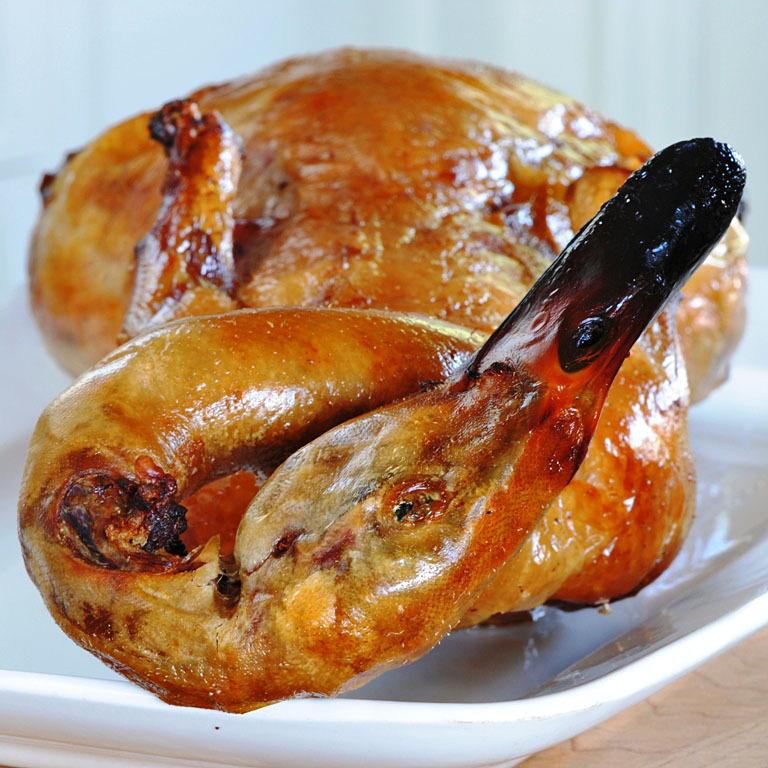 my secret trick is a Chinese style roasted duck. i can not pass one of these up when i visit my favorite Asian market...99 Ranch. it's like going to Costco and not getting the $4.99 roasted chicken. these things are fabulous. all done, cooked and crispy, moist and ready to eat $14.99...amazing. that's pretty darn good considering the normal price of a whole raw duck can be around $20.00-$30.00 bucks. 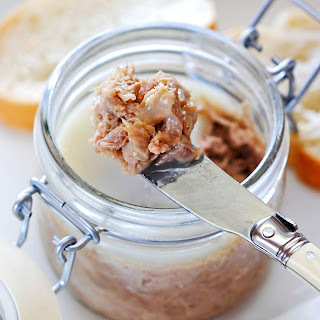 this is a quick shortcut to Duck Rillettes and fairly easy, well... you might say alot easier than the typical duck rillette that requires the whole confit situation. 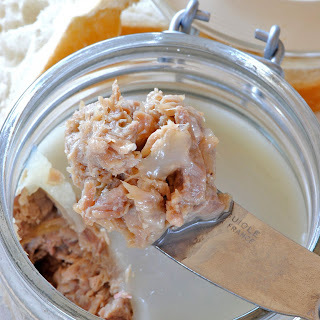 done properly a rillette takes days and loads of expensive $$$ duck fat. this can be done in a few hours. start with a whole roast duck. i get mine from an Asian market in Irvine called 99 Ranch. break it down...legs, thighs, wings, neck and head, etc...i have the deli man do it for me, but let him know you don't want it chopped up Chinese style. i like to save the breast meat for myself, but throw the skin and fat into the pot. when ready to eat, bring to room temp and enjoy. i really like to serve this with some pickled ginger and sesame crackers. give this a try..it's just a little labor intensive, but so rewarding when you open up your little homemade jar of charcuterie goodness. I can't wait to try this! One question...did you add water to the pot before bringing everything to a boil?